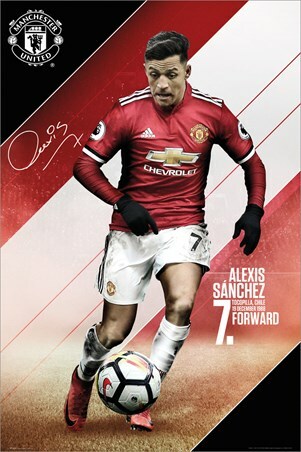 There's not a fan on the planet that doesn't love the sight of Alexis Sanchez in the red and white of the Manchester United kit. The 'Red Devils' acquired the services of the Chilean born winger from Arsenal in January 2018 and he has proved to be an incredible bit of business for the 2017 Europa League winners. 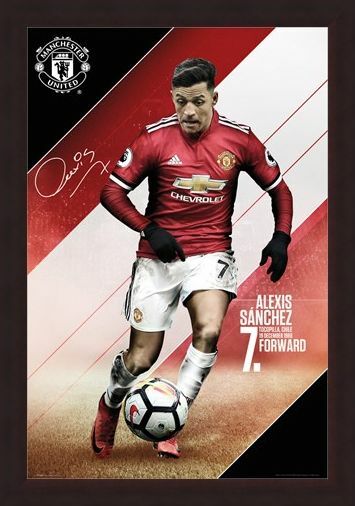 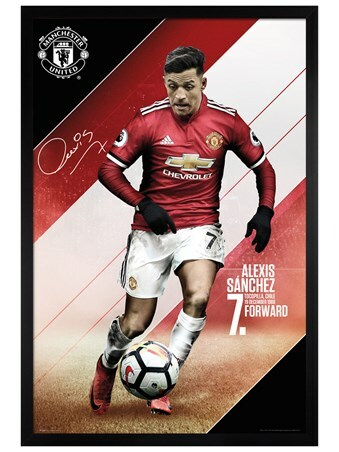 Sanchez often referred to as simply 'Alexis' appears on this poster wearing the famous number 7 shirt as he looks to fire the ball towards the opponents net. 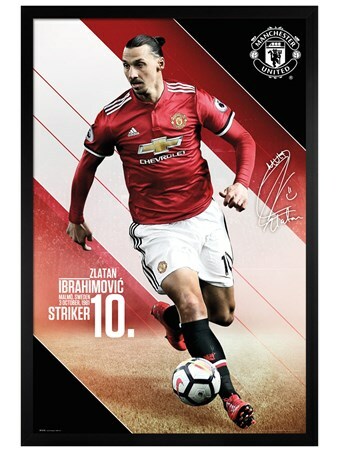 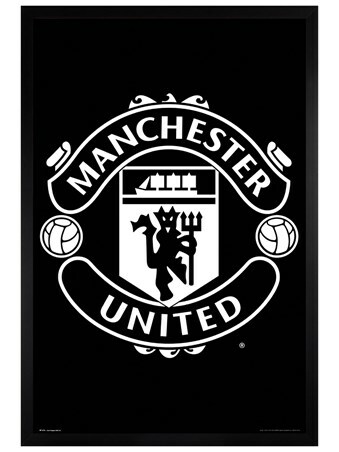 Complete with a printed signature and the Man United club crest, this poster is a must have for the MUFC fanatics out there. 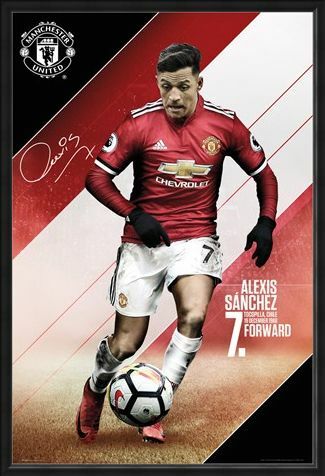 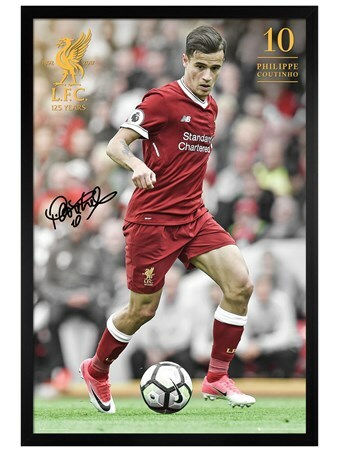 High quality, framed Sanchez 17-18, Manchester United poster with a bespoke frame by our custom framing service.